Gypsy silk earrings. Pink, strawberry, bohochic, afrocentric, fringe earrings, statement jewelry, statement earrings, tassel earrings. 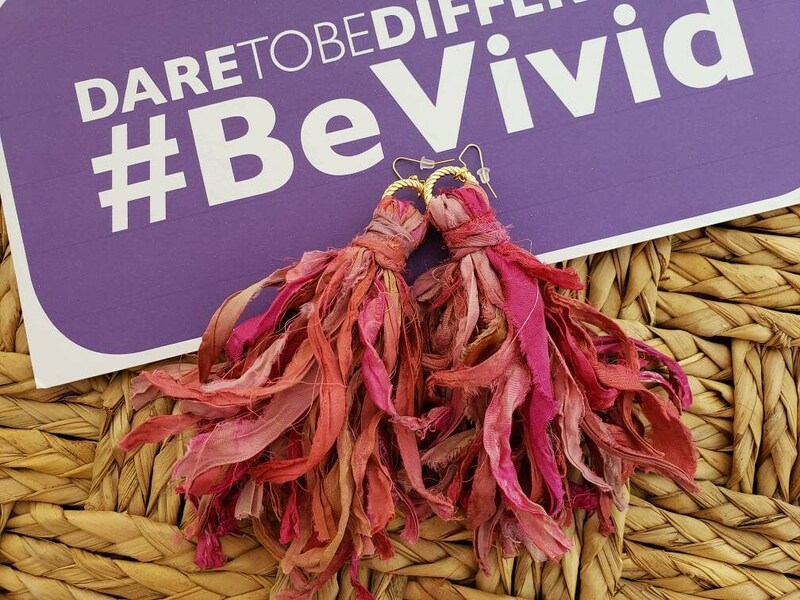 Made with sari silk and metal, these statement earrings are lightweight and perfect all year round. Approximately 7 inches in length. *Please note each earring is slightly different due to the materials used.